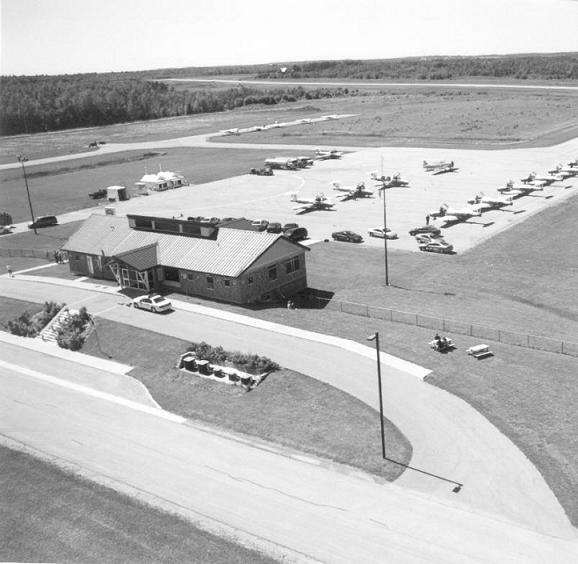 In the early 1970s, the need for a regional airport in the Barrie area was identified; however, a lack of funding prevented any action until 1975. At this time, a committee entitled the Barrie Airport Advisory Committee was formed with the purpose to pursue funding through various levels of government. In 1976 the Ontario Government expanded the Provincial Airport Development Program, which opened the door for the Barrie Airport Advisory Committee to create and publish a report entitled “Report on Proposed Barrie and District Municipal Airport”. In this report, the committee outlined that construction of a new regional airport facility would benefit the entire geographic region and that site selection should begin immediately. Site selection for a new airport was carried out in three distinct phases. The initial phase created a list of 31 potential sites for an airport. Phase two of selection reduced the list to a potential 13 sites which were then once again shortened to a list of four potential sites in the third phase of the selection process. In 1980, the list of four potential sites was shortened further to two possible locations. The first site was located south of Barrie, near Thorton and the second possible location was the “Caribou Restaurant Site”, located in the Township of Oro-Medonte. Once final selection had taken place, it was determined that the most successful regional airport facility would be constructed at the “Caribou Restaurant Site” in Oro-Medonte Township. In 1983, the City of Orillia decided to complete an Economic Impact Study to determine the value and impact that a regional airport would have on the City of Orillia. The study realized that an airport located in the township of Oro-Medonte would prove beneficial creating a positive economic impact on the City of Orillia. The project remained dormant until late 1989, when following the publication of the Ontario Airport System Plan by the Ontario Ministry of Transportation; the Barrie area was identified as having a deficiency in air accessibility. A new airport for the Barrie district was recommended in this study in order to service the growing area population and to support economic development. Consultation between the City of Barrie and the Township of Oro-Medonte resulted in an expression of interest and support by both parties for development of a regional airport in Oro-Medonte Township. With the support of the Ontario Ministry of Transportation, the two municipalities proceeded to acquire land for the purpose of constructing a regional airport facility at the “Caribou Restaurant” location. In late 1990, virtually all of the lands were acquired and the airport development proposal was presented to the public. In March of 1990, the City of Orillia formally joined into a partnership with the City of Barrie and the Township of Oro-Medonte to jointly own and operate a regional airport. The first phase of construction commenced in the spring of 1990 and was funded by the Provincial Government. This allowed the airport to open in 1991 with a 3500-foot runway and a small apron to the North of the field. Once Federal funding was secured, the second phase of construction commenced in November 1991 and the airport officially opened in 1993 with a 5000-foot runway, a new, larger South Apron and a modern terminal building. Today the airport is operated in partnership between the City of Barrie, the County of Simcoe and the Township of Oro-Medonte. Since its inception, the airport has prospered to become a full service regional airport facility. With many attributes such as various instrument approaches, on site automated weather reporting, Avfuel branded FBO, continued Commercial Hangar Development and Commercial-Port of entry status for Canada Border Service Agency, the airport is an important aspect of the local economy, transportation infrastructure and a valued member of our growing region and communities.